Local Sight Seeings Hadimba Temple, Vashisht, The Mall Manali, Monastery. 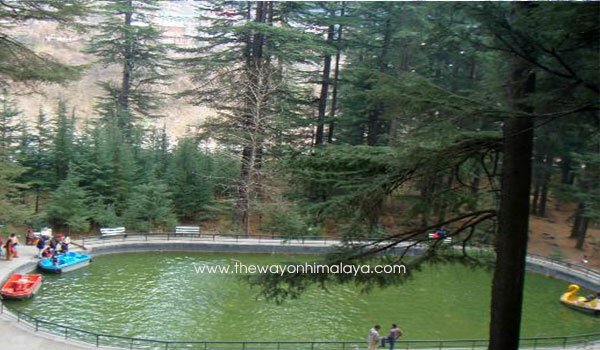 Kufri is most popular tourist place about 13 kms from Shimla The Capital of Himachal Pradesh. Kufri is situated at the National Highway No. 22. at the elevation of 2,290 metres (7,510 feet). Himalaya Nature Park Kufri is famous for wild life zoo. Snow Leopard and other wild animals attracts tourist’s attention towards this park/zoo. FUN WORLD KUFRI is also here where tourist may enjoy adventure activities such as Go Carting, Jhoolas, Helicopter Ride etc. back to Shimla. Tattapani is very famous place near Shimla about 40 kms. Olden days people used to come here in the whole month of JANUARY (MAGH SAKRANTI) for holy bath in hot nature sulpherwater. River Rafting and boating is the main attraction here. Now a days due to Kol Dam water level increasing in Sutlej River this place is converted into big and beautiful lake.